3 Killer Softball Pitching Drills for Accuracy! 3 Softball Pitching Drills for Accuracy! 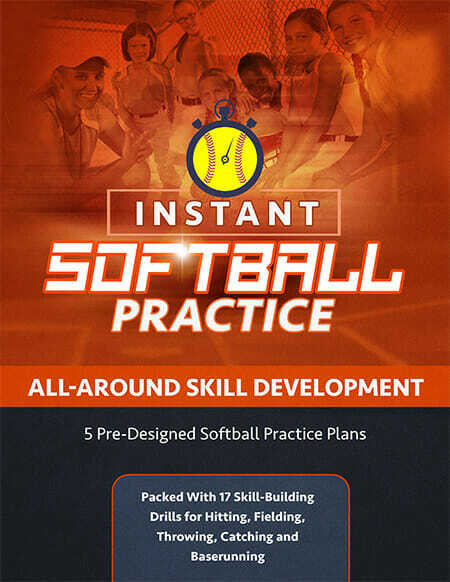 Home » Softball Drills » Softball Pitching Drills » 3 Softball Pitching Drills for Accuracy! 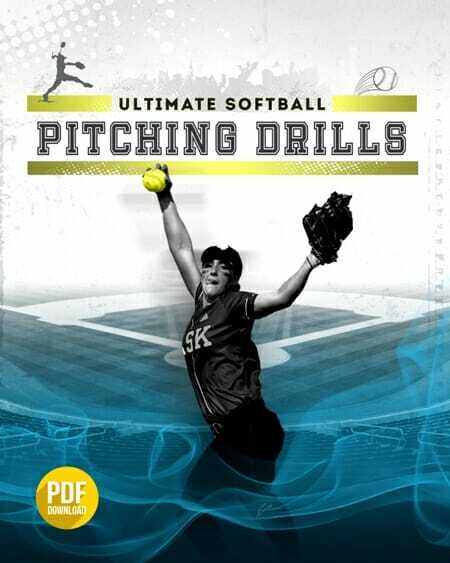 Check out these 3 killer softball pitching drills for accuracy that we have compiled! Use them in your next practice and then come back and share your results! Have the players stand at 2nd base position, SS, 3’rd base position and make throws to first base trying to hit the bucket. The first 2 players to hit the bucket gets to be team captains for the scrimmage that day. Have 2 teams of 5 players – 1 player at each infield position including catcher (but not pitcher). Have the catcher throw to 3rd who throws to 2’nd who throws to SS who throws to 1’st who throws to catcher. Each dropped or errant throw costs that team a point the team with the least points wins. Pitchers perform their normal pitching motion, without any softballs. While watching their mechanics, the coach will see where their front foot (delivery) foot lands and where their delivery hand lands. Mark that spot. Now take out a handkerchief (or towel) and have the coach stand directly in front of the pitcher. Tell the pitcher to do the pitching motion again, but this time to “hit” the handkerchief with their “pitching hand”. Repeat this activity, but each time, the coach moves a distance farther from the pitcher. After about 2 -4 times, the pitcher has increased the “delivery distance” and “stretched further down/over”. I have had pitchers add between 2 & 4 feet to their delivery motion and “end-up” distance. This has increased velocity, improved mechanics, etc. Looking for more awesome softball pitching drils? Then be sure to check out Championship Coach Sue Enquist’s other Softball Coaching Videos! Sue will share some great tips and softball pitching, hitting and much more! And don’t forget to Like Us on Facebook, where we share more great drills, tips and suggestions. 2 replies to "3 Softball Pitching Drills for Accuracy!" 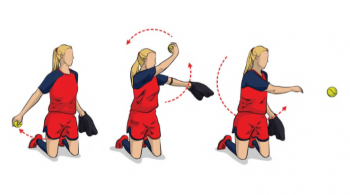 The article is titled softball pitching drills for accuracy but only the 3rd drill is an actual pitching drill and it more for mechanics rather than accuracy. The first two are good ideas for defensive fielding. I was just more looking for accuracy drills for pitchers. The first 2 aren’t even pitching drills.